Trolling for fish is a popular method used by anglers everywhere. Typically, anglers troll for freshwater species like walleye, musky, salmon, trout, and most large saltwater species. The idea is you can fish much of the lake quickly and at various depths to find the strike zone. Trolling more often than not yields some of the bigger fish in those species as well, which makes the whole process even more exciting. To catch those fish, you need the right gear. In this guide, we’ll cover the best trolling reels as well as some honorable mentions. This is our Top 3 Guide for the Best Trolling Reels! So, what is a trolling reel? 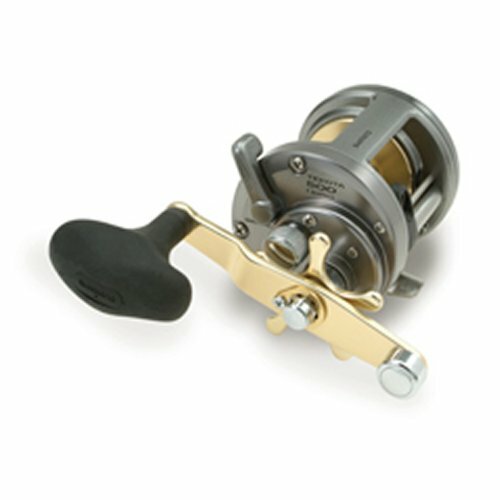 Trolling reels are commonly referred to as conventional reels. They look like conventional baitcasters, but they’re not meant to be casted. I know, simple definition, but it’s the truth. If you look at a trolling reel, it has very simple parts. The spool is aligned just like a baitcaster, with a horizontal layout. The rod guides are upward aligned on the rod. But the big difference is a trolling reel does not have a casting button, a button that releases the line through the casting motion. Instead, most all trolling reels have a lever oriented on the side of the reel that, when pulled, releases the line, allowing the lure to fall in the water. Trolling reels are also notably missing magnetic gears. Again, they’re made for trolling, not casting. What to look for in a reel? Trolling reels are pretty simply designed with only a few options you need to be concerned with. The first big difference is the construction of the reel. Cheaper reels tend to be made with graphite. Graphite is not a bad option, but it is not recommended when fighting larger saltwater species like tuna or marlin. It’s lighter than its aluminum counterparts, but that point is really negligible since the majority of the time the rod and reel will be secured in a holster. For larger species, you want aluminum construction, or the best option, precision machined from a solid block of aluminum. The machined aluminum is strong enough to endure the stresses caused by big tuna, marlin, sharks, etc. They’re are stronger and higher quality, by and large. Another feature to pay attention to is a Level Wind. On trolling reels, there is a guide that evenly distributes the line as you reel the line in. Keep in mind, when fighting larger saltwater species, the stress on the line may not allow the wind to be level. If you’re looking to target trout, salmon, etc, pay attention to this feature. Otherwise, you can ignore it. A nice, loud clicker is also important so you can hear the line being taken by a fish once it strikes your lure. Since you troll at various speeds, you will have to fight engine noise and don’t want your reel to be quiet while driving the boat. Finally, a feature shared by most reels, a smooth drag is very important. Multi disc drags provide smooth dragging systems added with the star drag on the lever to give convenience when setting or adjusting. Drag is very important when fighting a larger fish, so you want the absolute smoothest drag you can get. We’ve picked the Okuma Magda Pro as our best trolling reel because of its great features. This reel is one of the better line counter reels, which is extremely helpful when using various methods to troll. If you use a downrigger, you really don’t need the feature. But any other trolling method and the line counter is an absolute must. The Okuma Magda Pro is equipped with a loud clicker, a smooth multi-disk Carbonite drag system controlled by a star lever, and a nice stainless steel level wind. This reel is a favorite for lake trout, steelhead, salmon, and walleye trollers. 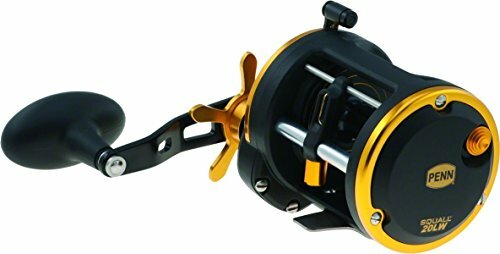 This reel also has two ball bearings, self lubricating gear system, and corrosion resistant graphite spools. The Okuma Magda is ready for saltwater adventures, if so desired. Backed by a one year warranty from Okuma, this is our best trolling reel. The Penn Squall 20LC Level Wind Trolling Reel is a midsize reel in the Level Wind line for Penn. 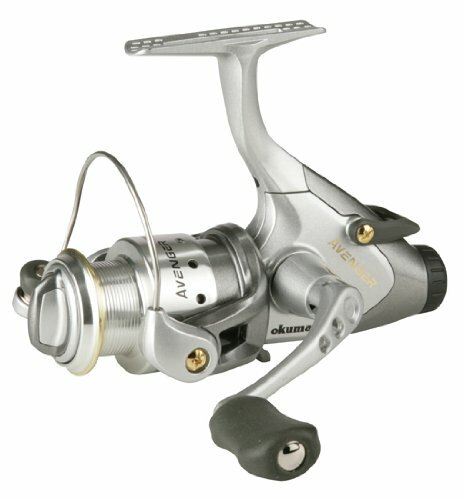 The reel comes with a lightweight graphite frame, HT-100 Drag System, and instant Anti-Reverse. A machined aluminum spool with line capacity rings means you’ll never have to guess how much line is left in your reel. The Squall also comes with a Line Counter. A two stainless steel bearing system with anti-reverse means you’ll take the fight to the fish! The Squall 20LC is one of the best line counter reels on the market and while higher priced, you won’t be able to compete with the quality design. The Shimano Tekota Levelwind Reel is a perfect balance of aesthetics and function. This beautifully crafted trolling reel is our choice for a saltwater trolling reel. Featuring a line counter, this reel is all aluminum: frame, spool, and side plate. Made specifically for the elements, this reel is tough and capable of winching the big fish from the bottom. With a Dartainium drag, you can expect smooth performance when reeling the oversized cast control knob. An oversized clicker makes it easy to engage during setup and disengage during the fight. Anti-Rust Bearings ensure this reel will hold up in all water. High priced, but take a good look at the Shimano Tekota. It’s one of the best trolling reels on the market and a surefire winner for great lakes and saltwater fishing!